Produce quickest route and in-store picking maps for customers or staff fulfilling online orders with Geolocation & Real Time 3D Planogram. Click & Collect generate 3% of total store revenue and store owner wants to increase Click & Collect sales but it’s difficult due to ordered product picking efficiency. It takes in avarage 20 Minutes to pick ordered products. Main issues are that there is no store layout information and the stock availability is unknown. With Geolocation & Real Time 3D Planogram, we can provide a clear navigation to the product and can inform about sold out products in advance. As a result, the pickup time can be reduced by half to 10 Minutes in avarage. Which will increase the Click & Collect operation productivity by around 50%. Designed to maintain effective, consistent communications for healthcare establishments, we offer a comprehensive range of telephone systems to meet a wide array of requirements. Including analogue and state-of-the-art IP technology, along with indoor and outdoor camera systems, our security solutions integrate easily with your existing systems, providing complete security for your premises. Have confidence in the quality of Panasonic’s operating room cameras and recording systems, industrial and medical vision micro-cameras as well as camera modules. When smooth communications, efficiency operations and high-quality patient service are critical – as they are in a medical practice – you need technology you can rely on. Panasonic’s integrated medical practice solutions help you achieve all three, providing the essential support to your day-to-day operations and creating the ideal environment in which to serve patients. Panasonic’s IP Business Communication Server makes communication simpler and more flexible than ever before throughout your retail premises. Designed to maintain effective, consistent communications for educational establishments, we offer a comprehensive range of SIP solutions to meet a wide array of requirements, including standard SIP terminals and SIP conferencing devices. High efficiency, performance and quality are all hallmarks of our professional printing and fax solutions. Allowing you to be more productive than ever before, they’re the ideal way to manage your documentation and imaging requirements easily and effectively. Today’s business world is demanding more effectiveness and more efficiency. Our range provides you the Freedom to achieve all, giving you a scanning solution to every requirement. Transform your lessons and tutorials into truly interactive sessions, with displays that engage everyone in the room and bring learning to life. Short throw projectors are designed to bring the projector closer to the screen. This allows the presenter to stand right in front of the screen without casting a shadow on the presentation content, making these projectors ideal for interactive applications in education. Light enough to carry anywhere and bright enough to bring every learning session to life, our portable projectors are an excellent tool for the modern classroom. Whether used for outdoor learning in the hands of pupils, or as a technology control device in the classroom, Toughpad tablets have the performance, durability and connectivity to meet every educational requirement. Every camera in our professional range is equipped with technology that redefines possibilities in the broadcast and professional AV sector. Their ability to enable creative minds to turn vision into HD reality makes them perfect for the education sector. Capable of performing in every educational environment – with world-class connectivity, fully rugged durability and outdoor-readable screens that mean they can go way beyond the classrooom – our range of computer product solutions equip both teachers and students with a cutting-edge education toolkit. From compact but powerful HD/SD live switchers to our latest, high-end live switcher, Panasonic offers a host of mixer and controller solutions with system expandability that mean they’re ideal for educational settings. Covering HD LCD indoor and outdoor screens, large and standard-sized formats, Video walls and plasma screens, our range of professional displays deliver unmatched sharpness and brightness, whatever the application. When high-brightness, high-quality projection is required in large venues, our projectors deliver everything you need. Combining class-leading reliability with robust-yet-compact design, they’re not only easy to install and operate, they drive down your cost of ownership. Whether you need to mount them on ceilings, brackets, tables, trolleys and stands, our installation projectors can meet your demands. Including short-throw projectors for small spaces and long-throw devices for larger venues, they deliver interactive, multimedia content in perfect clarity. With unbelievable image clarity, high brightness and wide viewing angles, our Video wall technology is perfect for creating unforgettable displays in exhibitions, events and public areas. Whether you’re looking for high-brightness, high-resolution projectors that can handle large venue displays, or a video projector that can project within a small space, Panasonic covers the entire spectrum and offers the broadest range of projectors on the market. Every camera in our professional range is equipped with technology that redefines possibilities in the broadcast and professional AV sector. Their ability to enable creative minds to turn vision into HD reality makes them perfect for the leisure sector. Whether used as a mobile customer service tool, or as a technology control device in the conferencing centre, Toughpad tablets have the performance, durability and connectivity to meet every requirement of your business. Perfect for displaying visitor and venue information in outdoor settings, Panasonic outdoor screens have the durability to withstand adverse weather conditions and the capability to provide clear images, even in bright sunlight. This new concept means that your security video equipment also acts as a business intelligence system. Delivering outstanding security functionality, the system can also improve the way you manage your premises and control the movement of students. Including network cameras, equipped for cutting-edge face detection and 360-degree coverage, to high-performing Full HD network video recorders, and network encoders and decoders, our IP security technology provides complete security for your business. Including analogue and state-of-the-art IP technology, along with indoor and outdoor camera systems, our CCTV solutions integrate easily with your exiting systems, providing complete security for your educational establishment. Maintaining safety across multiple sites, schools, colleges and universities requires the best fire detection and prevention solutions. Panasonic provides both, with cutting-edge technology able to deliver the level of protection needed to safeguard students and staff. Whether used as a mobile customer service tool, or as a technology control device inside your premises, Toughpad tablets have the performance, durability and connectivity to meet every requirement of your business. Designed to maintain effective, consistent communications throughout your business, we offer a comprehensive range of SIP solutions to meet a wide array of requirements, including standard SIP terminals and SIP conferencing devices. To protect staff, visitors, premises and assets, Panasonic has a range of fire solutions for the leisure sector. Programmable functions, intelligent algorithms and the ability to monitor multiple zones provide early, safe and reliable fire detection and prevention. Including analogue and state-of-the-art IP technology, along with indoor and outdoor camera systems, our CCTV solutions integrate easily with your exiting systems, providing complete security for your establishment. This new concept means that your security video equipment also acts as a business intelligence system. Along with excellent security functionality, the system can improve the way you manage your premises, optimise your vehicle use and control your mobile fleet. Light enough to carry anywhere and bright enough to bring every display or presentation to life, our portable projectors are an excellent tool for modern exhibitions. Our multi-window processor offers a variety of multi-screen layout solutions by processing different input sources onto Video walls, rear multi-projection and edge-blending projection systems. Covering HD LCD indoor and outdoor screens, large and standard-sized formats, video walls and plasma screens, our range of professional displays deliver unmatched sharpness and brightness, making them perfect for sharing passenger and travel information, whatever the setting. Capable of performing in every environment – with world-class connectivity, fully rugged durability and outdoor-readable screens – our range of computer product solutions equip your staff with customer-information and order-taking tools that work anywhere. Notable for their flexibility, reliability and ease-of-use, our cutting-edge range of EPOS solutions are designed to suit the precise requirements of your business. Whether used as a mobile customer service tool, for queue busting or order taking, Toughpad tablets have the performance, durability and connectivity to meet every requirement of your business. This new concept means that your security video equipment is also a business intelligence system. As well as security functionality, the system can improve the way you manage your premises and control the movement of visitors. The IP phone range from Panasonic delivers the flexibility and manageability so critical to successful businesses in today’s changing business world. Able to integrate into businesses of all sizes, our IP phone systems help to centralise management of your communication. With unbelievable image clarity, high brightness and wide viewing angles, our Video wall technology is perfect for large-format displays in your control rooms. With unbelievable image clarity, high brightness and wide viewing angles, our video wall technology is perfect for displaying passenger and travel information in public areas. Whether used as a mobile customer service tool, or as a technology control device in your station or airport, Toughpad tablets have the performance, durability and connectivity to meet every requirement of your business. This new concept means that your security video equipment is a business intelligence system. Along with security functionality, the system can improve the way you manage your premises, optimise your vehicle use and control passenger movement. Fully rugged, with outdoor readable screens, long battery life, business expansion options and specialised docking solutions, Toughpad tablets are able to perform in every area of your transport business, delivering new standards of performance and customer service. Whether replacing paperwork, supporting maintenance crews, or providing application access for your customer service teams, Toughbook, equipped with Intel® Core™ i5 vPro™ processing technology, is ideal for the transport sector. For discussing, designing and developing products and processes in detail, whether in one room or across different sites, Panasonic’s industrial cameras provide the clarity, accuracy and reliability that you need. Fully rugged, with outdoor readable screens, long battery life, business expansion options and docking solutions, Toughpad tablets are ideal for your workshop, your production plant or your showroom, delivering new standards of performance and customer service. In R&D, computer simulations, and measuring, recording and evaluating telematic data during test drives, Toughbook, equipped with Intel® Core™ i5 vPro™ processing technology, is the ideal tool for the automotive industry. Fully rugged, with outdoor readable screens, long battery life, business expansion options and a range of specialised docking solutions, Toughpad tablets are able to perform in every area of your manufacturing business, delivering new standards of performance. Security cameras are an integral part of Panasonic’s loss-prevention solution and help reduce shrinkage in retail environments. Our security solutions bring the latest technology and a wealth of innovative features to any number of security applications. In R&D, computer simulations, and measuring, recording and evaluating manufacturing processes, Toughbook, equipped with Intel® Core™ i5 vPro™ processing technology, is the ideal tool for the manufacturing sector. With rugged reliability, outdoor readable screens, powerful performance and the ability to connect wirelessly anywhere, Toughpad tablets are the ideal tools for sharing and accessing information in all mobile retail settings. Covering HD LCD indoor and outdoor screens, large and standard-sized formats, video walls and plasma screens, our range of professional displays deliver unmatched sharpness and brightness, making them perfect for sharing promotions and customer information, whatever the setting. Transform your training into truly interactive sessions, with displays that engage everyone in the room and bring learning to life. With unbelievable image clarity, high brightness and wide viewing angles, our video wall technology is perfect for promotions and customer information in public areas. Designed to maintain effective, consistent communications throughout your business network, we give you the Freedom to communicate using our comprehensive range of SIP solutions. With unbelievable image clarity, high brightness and wide viewing angles, our video wall technology is perfect for displaying promotions and customer information, in public areas. Maintaining high-quality, highly visible signage outdoors, in all weather conditions, is a constant challenge in the retail sector. Proven to perform in challenging situations, our outdoor displays ensure professional, informative messaging at all times. Whether used as a mobile customer service tool, or as a technology control device, Toughpad tablets have the performance, durability and connectivity to meet every requirement of your business. To protect visitors, staff, premises and assets, Panasonic has a range of fire solutions for the the retail sector. Programmable functions, intelligent algorithms and the ability to monitor multiple zones mean early, safe and reliable fire detection and prevention. Our security solutions bring the latest technology and a wealth of innovative features to any number of security applications. From network cameras, with face detection and 360-degree coverage, to high-performing Full HD network video recorders, encoders and decoders. Our durably designed EPOS systems provide a long product life cycle with maximum uptime and minimum maintenance. 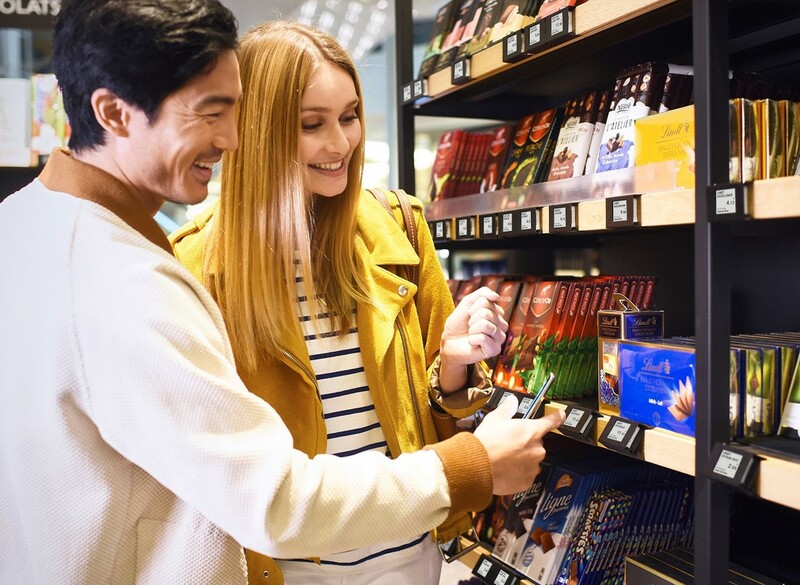 What’s more, Panasonic EPOS workstations can be combined with digital signage and loss-prevention solutions for a fully integrated retail solution. Our security solutions bring the latest technology to many retail applications. From network cameras, for cutting-edge face detection and 360-degree coverage, to high-performing Full HD network video recorders, and network encoders and decoders. With rugged reliability, outdoor readable screens, powerful performance and the ability to connect wirelessly anywhere, Toughpad tablets are ideal for sharing and accessing information in all mobile retail settings. Every camera in our professional range is equipped with technology that redefines possibilities in the broadcast and professional AV sector. Their ability to enable creative minds to turn vision into HD reality enables you to deliver the high-quality output you want. Capable of performing in every environment – with world-class connectivity, fully rugged durability and outdoor-readable screens that mean they can perform wherever you need them to - our range of computer product solutions equip your mobile staff with the tools they need to manage and deliver outstanding events and broadcasts. From compact but powerful HD/SD live switchers to our latest, high-end live switcher, Panasonic offers a host of mixer and controller solutions with system expandability that mean they’re ideal for your events and broadcasts. To protect staff, visitors and your premises and assets, Panasonic has developed fire solutions with the requirements of businesses like yours in mind. Programmable functions, intelligent algorithms and the ability to monitor multiple zones mean early, safe and reliable fire detection and prevention. Combining robust design and an ultra-narrow bezel, Panasonic’s video wall solutions create visual signage that captures attention. Short throw projectors are designed to bring the projector closer to the screen. This allows the presenter to stand right in front of the screen without casting a shadow on the presentation content. Providing excellent visibility and colour reproduction, our interactive display technology brings information to life, providing an immersive experience for customers that enhances their visit to your store, and engages them more fully with your products. Toughpad tablets have the performance, durability and connectivity to meet every requirement. Fully rugged, with outdoor readable screens, long battery life, business expansion options and a range of specialised docking solutions, Toughpad tablets are able to perform in every area of your organisation, enabling better-than-ever performance. Capable of performing in every environment – with world-class connectivity, fully rugged durability and outdoor-readable screens that mean they can go wherever your business demands – our range of laptops equip your staff with tools that work anywhere. Designed to maintain effective, consistent communications, we offer a comprehensive range of SIP solutions to meet a wide array of requirements, including standard SIP terminals and SIP conferencing devices. This new concept for surveillance means that your security video equipment is also deployable as a real-time business intelligence system. As well as delivering the best security functionality available, the system can also improve the way you manage your premises. Whether used by your staff or patients, Toughpad tablets have the performance, durability and connectivity to meet every healthcare requirement. Capable of performing in every healthcare environment – with world-class connectivity, fully rugged durability and daylight-readable screens – our range of computer product solutions equip staff and patients with a cutting-edge toolkit. Today’s business world is demanding more effectiveness and more efficiency. Our range provides you the Freedom to achieve all, giving you a scanning solution to every requirement. Through desktop, flat-bed or high-speed models, connected via USB, Wi-Fi or Wired network. Including analogue and state-of-the-art IP technology, along with indoor and outdoor camera systems, our security solutions integrate easily with your existing systems, providing complete security for your healthcare premises. Panasonic provides reliable and cutting-edge fire prevention and detection technology able to deliver the level of protection needed to safeguard patients and staff, and avoid the unnecessary expense and inconvenience of false alarms. To protect staff, visitors and your premises and assets, Panasonic has developed a range of fire solutions with the requirements of facilities like yours in mind. A range of programmable functions, intelligent algorithms and the ability to monitor multiple zones mean early, safe and reliable fire detection and prevention is achieved, in every challenging environment. Including analogue and state-of-the-art IP technology, along with indoor and outdoor camera systems, our security solutions integrate easily with your existing systems, providing complete security for your establishment. Panasonic OP camera and recording systems brings high-quality Full HD images to a wide variety of video documentation, distance learning, education and medical training. Panasonic Industrial Medical Vision micro-cameras are lightweight, flexible, high-performance ‘third eyes’. Despite the camera heads being extremely small in size and very light sensitive; they deliver high quality Full HD video. Fully rugged, with outdoor readable screens, long battery life, business expansion options and a range of specialised docking solutions, Toughpad tablets are able to perform in every area of your organisation, delivering new standards of performance. Capable of performing in every environment – with world-class connectivity, fully rugged durability and outdoor-readable screens that mean they can go way wherever your business demands – our range of laptops equip your staff with tools that work anywhere. Including analogue and state-of-the-art IP technology, along with indoor and outdoor camera systems, our security solutions integrate easily with your exiting systems, providing complete security for your establishment. Designed to maintain effective, consistent communications for all types of establishment, we offer a comprehensive range of telephone systems to meet a wide array of requirements. Applying more than 30 years’ experience, Panasonic’s innovative heating and cooling technology sets the industry standard. Our solutions range from single systems to multi-unit set ups. One of the world’s leading integrated security system platforms, Bravida (Integrated by Panasonic), is capable of serving the needs of everything from small businesses to large enterprises, it operates via a single support platform. With broadcast and remote cameras you can capture movement in perfect clarity. Product details or facial expressions – they are all made clear to be viewed from anywhere. Bravida (Integrated by Panasonic) strengths manifested in situations where the client has a complex security solution, where the flow of information is large, and where the focus is on the need for user-friendly security administration. Ayant pour but de maintenir une communication efficace et cohérente au sein des établissements médicalisés, nous avons développé une gamme complète de systèmes téléphoniques afin de satisfaire un large éventail d’exigences. Rassemblant des technologies analogiques et IP dernier cri, ainsi que des systèmes de caméras d’intérieur et d’extérieur, nos solutions de sécurité s’intègrent facilement à vos systèmes préexistants afin de fournir une protection intégrale de vos locaux. Faites confiance à la qualité des caméras pour salles d’opération et systèmes d’enregistrement de Panasonic, à ses microcaméras d’imagerie médicale et industrielle ainsi qu’à ses modules de caméra. Lorsque de bonnes communications, un fonctionnement efficace et une grande qualité des services fournis aux patients sont des données critiques, comme c’est le cas dans les cabinets médicaux, il est impératif de pouvoir compter sur son matériel technologique. Les solutions intégrées pour cabinets médicaux de Panasonic vous aident à atteindre ces trois objectifs en fournissant une aide essentielle à vos opérations quotidiennes et en créant l’environnement idéal pour servir vos patients. Nos systèmes EPOS sont conçus pour durer longtemps avec un temps de fonctionnement maximal et une maintenance minimale. De plus, vous pouvez combiner les stations de travail EPOS de Panasonic a des solutions affichage dynamique et prévention des vols pour obtenir une solution intégrée. Parfaitement adaptées à toutes les fonctions administratives de votre entreprise, nos solutions de communications unifiées incluent des fonctionnalités avancées de réseau IP, des téléphones de bureau ainsi que des systèmes de messagerie vocale flexibles qui améliorent le fonctionnement et réduisent les coûts. Ayant pour but de maintenir une communication efficace au sein des établissements d'enseignement, nous avons développé une gamme complète de solutions SIP allant des exigences des terminaux SIP standards aux appareils de téléconférence SIP. Une grande efficacité, de hautes performances et une excellente qualité sont les caractéristiques principales de nos solutions professionnelles d’impression et de transmission par fax. Elles vous permettent d'être tout simplement plus productif. Le monde de l'éducation exige de l'efficacité et de la compétence. Notre gamme de scanners couleur de différentes tailles pour bureau, à alimentation automatique ultrarapide ou à plat, vous aide à atteindre ces deux objectifs en vous offrant une solution de numérisation pour tous vos besoins. Transformez vos cours magistraux et travaux dirigés en sessions réellement interactives, avec des écrans qui impliquent chaque individu présent dans la salle et donnent vie à vos cours. Les projecteurs à courte focale sont conçus pour rapprocher le projecteur de l’écran. L’intervenant peut donc se tenir juste devant l’écran sans projeter d’ombre sur le contenu de la présentation, ce qui est idéal pour des applications interactives dans le secteur de l'éducation. Suffisamment légers pour être emportés partout et suffisamment brillants pour donner vie à n’importe quel cours, nos projecteurs portables sont l’outil par excellence des salles de classe modernes. Utilisées comme outil d’apprentissage extérieur dans les mains des élèves ou comme appareil de commande technologique en classe, les tablettes Toughpad disposent de la performance, de la résistance et de la connectivité adéquates pour répondre à tous les besoins de l’enseignement. Toutes les caméras de notre gamme professionnelle sont équipées d'une technologie qui redéfinit le champ des possibilités dans les secteurs de l'audiovisuel et de la télédiffusion. Permettre aux esprits créatifs de concrétiser leur vision en HD fait d'elles un outil parfaitement adapté au secteur de l'éducation. Utilisée dans n'importe quel environnement éducatif (connectivité adaptée à tous les pays, durcissement total, écran lisible à l'extérieur), notre gamme de solutions informatiques équipe les enseignants et leurs élèves dans un ensemble d'outils éducatifs de pointe. Des tables de mixage HD/SD puissantes et compactes à notre dernier modèle haut de gamme pour des événements en direct, Panasonic propose une série de mélangeurs et de solutions de contrôle évolutives qui répondent aux besoins de l'enseignement. Comprenant des écrans LCD haute définition d’intérieur et d’extérieur, de taille standard ou géante, des murs vidéo et des écrans plasma, notre gamme d’écrans professionnels est d’une netteté et d’une luminosité sans égal, quelle que soit l’application. Pour des projections de qualité quelle que soit la taille de l'image, nos projecteurs sont ce qu'il vous faut. Associant une fiabilité de premier choix à un design robuste et compacte, il sont faciles à installer, à utiliser et ils réduisent aussi vos coût de fonctionnement. Que vous vouliez les installer au plafond, sur un support de montage, une table, un chariot ou un stand, nos projecteurs fixes sauront satisfaire vos besoins. Qu'ils soient à courte focale pour des espaces restreints ou à longue focale pour les grandes salles, ils mettent en valeur tous vos contenus multimedia. Offrant des images d’une netteté incroyable, une grande clarté et de grands angles de vue, notre technologie de mur vidéo réussit parfaitement à créer des écrans inoubliables à utiliser lors de salons et manifestations publiques. Que vous recherchiez des projecteurs haute résolution à forte luminosité pouvant être utilisés dans de grandes salles ou un vidéoprojecteur adapté à un espace confiné, Panasonic couvre tout cet éventail et vous offre le plus grand choix de projecteurs que l’on trouve sur le marché. Toutes les caméras de notre gamme professionnelle sont équipées d’une technologie qui redéfinit le champ des possibles dans le secteur de l’audiovisuel professionnel et dans le secteur de la télédiffusion. Leur capacité à permettre aux esprits créatifs de concrétiser leur vision en HD fait d’elles un outil parfaitement adapté au secteur des loisirs. Qu’elles servent d’outil mobile pour le service client ou d’appareil de commande technologique dans un centre de conférence, les tablettes Toughpad disposent de la connectivité, de la performance et de la résistance nécessaires pour répondre aux besoins de votre entreprise. Parfaits pour donner des renseignements aux visiteurs et indiquer des informations sur une manifestation à l’aide d’équipements d’extérieur, les écrans d’extérieur de Panasonic sont capables de résister aux intempéries et fournissent des images nettes, même en plein soleil. Ce nouveau concept signifie que votre équipement de vidéoprotection endosse également la fonction de système à gestion d'information. Le système peut aussi servir à améliorer la gestion de vos locaux et à contrôler les mouvements de vos étudiants. Rassemblant des caméras réseau équipées d'une fonction détection de visages dernier cri et d'une couverture 360°, des enregistreurs vidéo réseau Full HD, des encodeurs et décodeurs réseau haute performance, notre technologie de sécurité IP offre une protection complète de votre entreprise. Rassemblant des technologies analogiques et IP dernier cri, ainsi que des systèmes de caméras d’intérieur et d’extérieur, nos solutions CCTV s’intègrent facilement à vos systèmes préexistants afin de fournir une protection intégrale de votre établissement d’enseignement. Protéger le personnel, les biens et visiteurs d'une société, Panasonic a développé des solutions d'alarme incendie en pensant à vos besoins. Fonctions programmables et algorithmes intelligents, multizones, tout y est pour la meilleure des détections. Qu’elles servent d’outil mobile pour le service client ou d’appareil de commande technologique au sein de vos locaux, les tablettes Toughpad disposent de la connectivité, de la performance et de la résistance nécessaires pour répondre aux besoins de votre entreprise. Rassemblant des technologies analogiques et IP dernier cri, ainsi que des systèmes de caméras d’intérieur et d’extérieur, nos solutions CCTV s’intègrent facilement à vos systèmes préexistants afin de fournir une protection intégrale de votre établissement. Suffisamment légers pour être emportés partout et suffisamment brillants pour donner vie à n’importe quel écran ou présentation, nos projecteurs portables sont l’outil par excellence des expositions modernes. Notre processeur multifenêtre offre de nombreuses solutions à plusieurs écrans en traitant différentes sources d’entrée pour les systèmes de projection sur murs vidéo, de rétroprojection multiple ou de projection avec fondu des bords. informations sur les promotions aux clients quel que soit le contexte. Connues pour leur flexibilité, leur fiabilité et leur facilité d’utilisation, nos solutions EPOS dernier cri sont conçues pour répondre exactement aux besoins de votre entreprise. Qu’elles soient utilisées comme un outil mobile pour votre service client, pour réduire les files d’attente ou pour prendre des commandes, les tablettes Toughpad disposent de la connectivité, de la performance et de la résistance nécessaires pour répondre aux besoins de votre entreprise. Pouvant être utilisée dans n’importe quel environnement (connectivité adaptée à tous les pays, renforcement intégral, écran lisible à l’extérieur), notre gamme de solutions informatiques donne à votre personnel toutes les informations utiles sur vos clients et des outils pour prendre des commandes où qu’il se trouve. La gamme de téléphones IP de Panasonic fournit une flexibilité et une facilité de gestion absolument essentielles à la réussite des entreprises dans le monde des affaires fluctuant que nous connaissons de nos jours. Capables de s’intégrer aux entreprises de toutes les tailles, nos systèmes de téléphonie IP vous aident à gérer vos communications de manière centralisée. Offrant des images d’une netteté incroyable, une grande clarté et de grands angles de vue, notre technologie de mur vidéo est parfaite pour créer des écrans géants dans des salles de contrôle. informations sur le voyage aux clients quel que soit le contexte. Offrant des images d’une netteté incroyable, une grande clarté et de grands angles de vue, notre technologie de mur vidéo est idéale pour transmettre des informations sur le voyage aux passagers dans des espaces publics. Qu’elles servent d’outil mobile pour le service client ou d’appareil de commande technologique dans votre gare ou votre aéroport, les tablettes Toughpad disposent de la connectivité, de la performance et de la résistance nécessaires pour répondre aux besoins de votre entreprise. Entièrement renforcées, dotées d'un écran lisible à l'extérieur et d'une batterie d'une grande autonomie, proposant des options d'extension professionnelles et toute une gamme de stations d'accueil, les tablettes Toughpad fonctionnent dans tous les domaines de la production, avec de nouveaux standards de performance. Qu’il remplace le papier, aide vos équipes d’assistance ou permette à vos équipes du service client d’accéder à des applications, le Toughbook est équipé de la technologie de traitement des données Intel® Core™ i5 vPro™ qui fait de lui l’outil idéal pour le secteur des transports. Pour examiner, concevoir et développer de nouveaux produits et processus en détail, dans la même pièce ou depuis différents sites, les caméras industrielles de Panasonic fournissent la netteté, la précision et la fiabilité dont vous avez besoin. En R&D, pour des simulations par ordinateur, pour la mesure, l’enregistrement et l’analyse de données télématiques lors d’essais de conduite, le Toughbook équipé de la technologie de traitement des données Intel® Core™ i5 vPro™ est l’outil idéal pour l’industrie automobile. Les caméras de sécurité font partie intégrante de la solution de prévention contre les vols de Panasonic et participent à la réduction des pertes dans les points de vente. Nos solutions de sécurité IP associent une technologie de pointe à une myriade de fonctions innovantes. En R&D, pour des simulations par ordinateur, pour la mesure, l’enregistrement et l’analyse de processus de fabrication, le Toughbook équipé de la technologie de traitement des données Intel® Core™ i5 vPro™ est l’outil idéal pour le secteur secondaire. D’une fiabilité à toute épreuve, dotées d’un écran lisible à l’extérieur, extrêmement performantes et capables de se connecter sans fil n’importe où, les tablettes Toughpad sont l’outil idéal pour partager des informations et les rendre accessibles dans n’importe quel contexte de vente mobile. Transformez votre formation en sessions réellement interactives, avec des écrans qui impliquent chaque individu présent dans la salle et donnent vie à vos cours. Offrant des images d’une netteté incroyable, une grande clarté et de grands angles de vue, notre technologie de mur vidéo est idéale pour transmettre des informations sur les promotions à la clientèle dans des espaces publics. Le serveur de communication IP d’entreprise de Panasonic rend les communications plus flexibles que jamais dans votre magasin de vente au détail. Le serveur de communication IP fournit un environnement de communication et de collaboration unifié innovant. Ayant pour but de maintenir une communication efficace et cohérente au sein de votre entreprise, nous avons développé une gamme complète de solutions SIP afin de satisfaire un large éventail d’exigences, allant des terminaux SIP standards aux appareils de téléconférence SIP. Le monde de l’éducation exige aujourd’hui de l’efficacité et de la compétence. Notre gamme de scanners couleur de différentes tailles pour bureau, à alimentation automatique ultrarapide ou à plat, vous aide à atteindre ces deux objectifs en vous offrant une solution de numérisation pour tous vos besoins. Offrant des images d’une netteté incroyable, une grande clarté et de grands angles de vue, notre technologie de mur vidéo est idéale pour indiquer les promotions à la clientèle dans des espaces publics. Conserver une signalisation visible et de qualité à l’extérieur, quelle que soit la météo, est un challenge quotidien pour les points de vente. Ayant fait leurs preuves dans des situations difficiles, nos écrans d’extérieur garantissent une information professionnelle à tout moment. Qu’elles servent d’outil mobile pour le service client ou d’appareil de commande technologique, les tablettes Toughpad disposent de la connectivité, de la performance et de la résistance nécessaires pour satisfaire aux besoins de votre entreprise. ainsi que des encodeurs, décodeurs. D’une fiabilité à toute épreuve, dotées d’un écran lisible à l’extérieur, extrêmement performantes et capables de se connecter sans fil n’importe où, les tablettes Toughpad sont idéales pour partager des informations et les rendre accessibles dans n’importe quel contexte de vente mobile. Alliant une conception robuste à un cadre extra fin, les solutions de mur vidéo de Panasonic créent un affichage visuel qui capte l’attention. Les projecteurs à courte focale sont conçus pour rapprocher le projecteur de l’écran. Cela permet à l’intervenant de se tenir juste devant l’écran sans jeter d’ombre sur le contenu de sa présentation. D’une excellente visibilité et d’une reproduction des couleurs sans défaut, notre technologie d’affichage interactif donne vie à l’information en proposant à vos clients de s’immerger dans votre magasin afin d’optimiser leur visite et d’éveiller davantage leur intérêt pour vos produits. Les tablettes Toughpad disposent de la performance, de la résistance et de la connectivité suffisantes pour satisfaire tous les besoins. Pouvant être utilisée dans n’importe quel environnement (connectivité adaptée à tous les pays, renforcement total, écran lisible à l’extérieur pour une utilisation partout où vos affaires l’exigent), notre gamme d’ordinateurs portables équipe vos employés avec des outils utilisables partout. Qu’elles soient utilisées par votre personnel ou par vos patients, les tablettes Toughpad ont une performance, une résistance et une connectivité qui répondent à tous les besoins du secteur de la santé. Pouvant être utilisée dans n’importe quel environnement sanitaire (connectivité adaptée à tous les pays, renforcement intégral, écran lisible en plein soleil), notre gamme de solutions informatiques équipe votre personnel et vos patients d’une boîte à outils dernier cri. Le secteur de la santé exige aujourd’hui de l’efficacité et de la compétence. Notre gamme de scanners couleur de différentes tailles pour bureau, à alimentation automatique ultrarapide ou à plat, vous aide à atteindre ces deux objectifs en vous offrant une solution de numérisation adaptée à tous vos besoins. Rassemblant des technologies analogiques et IP dernier cri, ainsi que des systèmes de caméras d’intérieur et d’extérieur, nos solutions de sécurité s’intègrent facilement à vos systèmes préexistants afin de fournir une protection intégrale de vos locaux médicaux. Rassemblant des technologies analogiques et IP dernier cri, ainsi que des systèmes de caméras d’intérieur et d’extérieur, nos solutions de sécurité s’intègrent facilement à vos systèmes préexistants afin de fournir une protection intégrale de votre établissement. Les systèmes d’enregistrement et caméras pour salles d’opération de Panasonic capturent des images Full HD de grande qualité pour la documentation vidéo, des formations à distance, l’enseignement ou un entraînement médical. Les microcaméras de Panasonic Industrial Medical Vision sont légères et flexibles, et constituent un « troisième œil » ultraperformant. Bien que la tête de ces caméras soit extrêmement fine et très sensible, elles produisent des vidéos Full HD d’excellente qualité. Ayant pour but de maintenir une communication efficace et cohérente au sein de tous les types d’établissements, nous avons développé une gamme complète de systèmes téléphoniques afin de satisfaire un large éventail d’exigences. Forte de plus de 30 années d’expérience, la technologie de climatisation et de chauffage innovante de Panasonic fait office de norme industrielle. Nos solutions s’étendent de systèmes simples à des ensembles de plusieurs unités. L’une des meilleures plateformes de système de sécurité intégré au monde, Bravida (Integrated by Panasonic), est capable de satisfaire les besoins de chacun, des petites structures aux grandes entreprises, bien qu’elle fonctionne sur une seule plateforme. Grâce aux caméras de télédiffusion et caméras à distance, vous pouvez capturer les mouvements avec une netteté irréprochable. Détails des produits ou expressions du visage : les moindres traits peuvent être distingués de n’importe où. Les atouts de Bravida (Integrated by Panasonic) se manifestent dans des situations où le client dispose d’une solution de sécurité complexe, avec un flux d’informations important et où la facilité d'administration de la sécurité s'avère donc essentielle. Unsere umfangreiche Palette an Telefonsystemen erfüllt unterschiedlichste Anforderungen und ist auf eine effektive, konsequente Kommunikation in allen Einrichtungen des Gesundheitswesens ausgelegt. Unsere Sicherheitslösungen, darunter analoge und hochmoderne IP-Technologie sowie Kamerasysteme für den Innen- und Außenbereich, lassen sich mühelos in bestehende Systeme integrieren, um Ihre Einrichtungen optimal zu schützen. Überzeugen Sie sich von der Qualität der Panasonic OP-Kameras und Aufzeichnungssysteme, der industriellen und medizinischen Mikrokameras sowie der Kameramodule. Wenn Ihnen reibungslose Kommunikation, effiziente Operationen und hochwertige Patientenbetreuung wichtig sind – wie es in Arztpraxen der Fall ist –, müssen Sie sich auf die Technologie verlassen können. Mit den integrierten Lösungen für Arztpraxen von Panasonic ist dies kein Problem. Sie bieten Ihnen die notwendige Unterstützung im Tagesgeschäft und schaffen ein Umfeld, in dem Sie Ihre Patienten optimal betreuen können. Unsere Unified Communications-Lösungen umfassen fortschrittliche IP-basierte Netzwerkkommunikation, Tischtelefone und bis ins Detail konfigurierbare Voicemail-Systeme zur Unterstützung der administrativen Tätigkeiten in Bildungseinrichtungen, mit denen Sie die Funktionalität verbessern, die Kosten senken und die Verwaltung vereinfachen. Unsere Unified Communications-Lösungen umfassen fortschrittliche IP-basierte Netzwerkkommunikation, Tischtelefone und bis ins Detail konfigurierbare Voicemail-Systeme zur Unterstützung der administrativen Tätigkeiten in verschiedensten Umgebungen. Unsere umfangreiche Palette an SIP-Lösungen, darunter Standard-SIP-Endgeräte und SIP-Konferenzlösungen, erfüllt unterschiedlichste Anforderungen und ist auf eine effektive, konsequente Kommunikation in Bildungseinrichtungen ausgelegt. Hohe Effizienz, Leistung und Qualität sind die zentralen Merkmale unserer professionellen Druck- und Faxlösungen. Sie sind die idealen Helfer für eine einfache und effektive Bewältigung Ihres Dokumentations- und Bildverarbeitungsbedarfs und eröffnen Ihnen ungeahnte Produktivitätssteigerungen. Das Bildungswesen von heute verlangt Effektivität und Effizienz. Mit unserem Sortiment an Desktopscannern, Hochgeschwindigkeitsscannern mit automatischer Zuführung, Flachbettscannern sowie Scannern für unterschiedliche Formate und Farbdokumente erreichen Sie beides und finden die perfekte Scannerlösung für jeden Anspruch. Mit unseren interaktiven Displays verwandeln Sie Ihre Lehr- und Übungsstunden in ein interaktives Miteinander und beziehen alle Anwesenden ein. Das Lernen wird mit Leben gefüllt. Kurzdistanzprojektoren wurden entwickelt, um den Projektor näher an die Projektionsfläche heranzubringen. Dies ermöglicht es dem Vortragenden, direkt vor der Projektionsfläche zu stehen, ohne einen Schatten auf den Präsentationsinhalt zu werfen. Dadurch eignen sich diese Projektoren hervorragend für den interaktiven Einsatz in der Bildung. Unsere tragbaren Projekten sind ein ausgezeichnetes Hilfsmittel im Klassenzimmer von heute: Leicht genug, um sie überall hin mitzunehmen, und hell genug, um den Unterricht zum Leben zu erwecken. Dank ihrer exzellenten Leistung, Haltbarkeit und Konnektivität erfüllen die TOUGHPAD Tablets sämtliche Bedürfnisse des Bildungswesens, egal ob sie von Schülern zum Lernen im Freien oder zur Steuerung der Technik im Klassenzimmer eingesetzt werden. Alle professionellen Kameras in unserem Sortiment sind mit einer Technologie ausgestattet, die völlig neue Möglichkeiten im Broadcast- und professionellen AV-Sektor eröffnet. Sie versetzen kreative Köpfe in die Lage, ihre Visionen in HD-Qualität wahr werden zu lassen, womit sie sich hervorragend für den Bildungssektor eignen. Unsere breite Auswahl an Computerprodukten und -lösungen leistet in jeder Schulungsumgebung hervorragende Arbeit. Durch ihre erstklassige Konnektivität, ihre Full Ruggedized-Bauweise und ihre auch im Freien gut lesbaren Bildschirme bieten sie Lehrkräften ebenso wie Schülern ein hochmoderndes Toolkit für die Bildung. Zu den zahlreichen Mischer- und Controller-Lösungen von Panasonic zählen kompakte, aber dennoch leistungsstarke HD/SD-Live-Bildmischer ebenso wie unser neuester High-End-Live-Bildmischer. Durch die Erweiterbarkeit der Systeme eignen diese sich hervorragend für Bildungseinrichtungen. Unser Sortiment an professionellen Displays reicht von HD-LCD-Bildschirmen für drinnen und draußen über Groß- und Standardformate bis hin zu Videowänden und Plasmabildschirmen. Egal für welchen Einsatzzweck, sie liefern stets eine zuverlässige Bildqualität sowie eine unübertroffene Helligkeit und Bildschärfe. Wenn eine Projektion mit hoher Helligkeit und Qualität in großen Räumen gefordert ist, sind unsere Projektoren genau das Richtige. Sie kombinieren branchenführende Zuverlässigkeit mit einem robusten, aber dennoch kompakten Design. Dabei sind sie nicht nur einfach zu installieren und bedienen, sie senken auch Ihre Betriebskosten. Unsere Projektoren zur Festinstallation erfüllen alle Ihre Ansprüche, egal ob Sie eine Montage an Decken, Halterungen, Tischen, Wagen oder Ständern vorgesehen haben. Das Sortiment umfasst sowohl Kurzdistanzprojektor für kleine Räume als auch Langdistanzgeräte für große Anlagen, die interaktive Multimediainhalte mit maximaler Klarheit abbilden. Unsere Videowandtechnik überzeugt durch kristallklare Bilder, hohe Helligkeit und große Betrachtungswinkel. Hinterlassen Sie mit diesen unvergesslichen Bildern einen bleibenden Eindruck auf Ausstellungen, bei Veranstaltungen und an öffentlichen Orten. Ganz gleich, was Sie benötigen – ultrahelle, hochauflösende Projektoren, die mit Großraum-Displays kompatibel sind, oder Videoprojektoren, die in kleineren Räumen eingesetzt werden können – Panasonic deckt das gesamte Spektrum ab und bietet das größte Projektorsortiment des Marktes. Alle professionellen Kameras in unserem Sortiment sind mit einer Technologie ausgestattet, die völlig neue Möglichkeiten im Broadcast- und professionellen AV-Sektor eröffnet. Sie versetzen kreative Köpfe in die Lage, ihre Visionen in HD-Qualität wahr werden zu lassen, womit sie sich hervorragend für den Freizeitsektor eignen. Dank ihrer exzellenten Leistung, Haltbarkeit und Konnektivität erfüllen die TOUGHPAD Tablets sämtliche Bedürfnisse Ihres Unternehmens, egal ob sie als mobiles Kundendienst-Tool oder zur Steuerung der Technik im Konferenzraum eingesetzt werden. Die Outdoor-Bildschirme von Panasonic nehmen es selbst mit widrigen Witterungsverhältnissen auf und liefern auch in strahlendem Sonnenschein ein klares Bild, womit sie sich hervorragend zur Anzeige von Besucher- und Ortsinformationen im Freien eignen. Dies ist ein neuartiges Konzept, bei dem Ihre Sicherheitsvideoausrüstung gleichzeitig als Business Intelligence-System dient. Das System bietet nicht nur herausragende Sicherheitsfunktionen, es kann auch die Verwaltung Ihrer Einrichtungen verbessern und die Bewegung der Studierenden überwachen. Unsere IP-Sicherheitstechnologie sorgt für maximale Sicherheit in Ihrem Unternehmen. Das Angebot reicht von Netzwerkkameras, die mit neuester Gesichtserkennung und 360-Grad-Radius ausgestattet sind, bis hin zu hochleistungsfähigen Full-HD-Netzwerkvideorekordern sowie Netzwerk-Encodern und -Decodern. Unsere CCTV-Lösungen, darunter analoge und hochmoderne IP-Technologie sowie Kamerasysteme für den Innen- und Außenbereich, lassen sich mühelos in bestehende Systeme integrieren, um Ihre Bildungseinrichtung optimal zu schützen. Dank ihrer exzellenten Leistung, Haltbarkeit und Konnektivität erfüllen die TOUGHPAD Tablets sämtliche Bedürfnisse Ihres Unternehmens, egal ob sie als mobiles Kundendienst-Tool oder zur Steuerung der Technologie in Ihren Einrichtungen eingesetzt werden. Unsere Unified Communications-Lösungen umfassen fortschrittliche IP-basierte Netzwerkkommunikation, Tischtelefone und bis ins Detail konfigurierbare Voicemail-Systeme zur Unterstützung der administrativen Tätigkeiten in Ihrem Unternehmen. Unsere umfangreiche Palette an SIP-Lösungen, darunter Standard-SIP-Endgeräte und SIP-Konferenzlösungen, erfüllt unterschiedlichste Anforderungen und ist auf eine effektive, konsequente Kommunikation in Ihrem Unternehmen ausgelegt. Die Geschäftswelt von heute verlangt Effektivität und Effizienz. Mit unserem Sortiment an Desktopscannern, Hochgeschwindigkeitsscannern mit automatischer Zuführung, Flachbettscannern sowie Scannern für unterschiedliche Formate und Farbdokumente erreichen Sie beides und finden die perfekte Scannerlösung für jeden Anspruch. Unsere CCTV-Lösungen, darunter analoge und hochmoderne IP-Technologie sowie Kamerasysteme für den Innen- und Außenbereich, lassen sich mühelos in bestehende Systeme integrieren, um Ihre Einrichtungen optimal zu schützen. Dies ist ein neuartiges Konzept, bei dem Ihre Sicherheitsvideoausrüstung gleichzeitig als Business Intelligence-System dient. Das System bietet nicht nur herausragende Sicherheitsfunktionen, es kann auch die Verwaltung Ihrer Einrichtungen verbessern, die Fahrzeugauslastung optimieren und Ihre mobile Fahrzeugflotte überwachen. Unsere tragbaren Projekten sind ein ausgezeichnetes Hilfsmittel für die Ausstellung von heute: Leicht genug, um sie überall hin mitzunehmen, und hell genug, um jede Darstellung und Präsentation zum Leben zu erwecken. Der Multi-Window-Prozessor bietet zahlreiche Layout-Lösungen für mehrere Bildschirme, da er verschiedene Eingangsquellen für Videowände, Multi-Rückprojektionssysteme und Edge-Blending-Projektionssysteme verarbeiten kann. Unsere Sortiment an professionellen Displays reicht von HD-LCD-Bildschirmen für drinnen und draußen über Groß- und Standardformate bis hin zu Videowänden und Plasmabildschirmen. Egal für welchen Einsatzzweck, sie liefern stets eine zuverlässige Bildqualität sowie eine unübertroffene Helligkeit und Bildschärfe, womit sie perfekt für die Anzeige von Passagier- und Reiseinformationen geeignet sind. Unsere breite Auswahl an Computerprodukten und -lösungen leistet in jeder Umgebung hervorragende Arbeit. Durch ihre erstklassige Konnektivität, ihre Full Ruggedized-Bauweise und ihre auch im Freien gut lesbaren Bildschirme stehen Ihren Mitarbeiter überall die erforderlichen Kundeninformationen und Bestellaufnahmetools zur Verfügung. Neben ihrer Flexibilität, Zuverlässigkeit und Benutzerfreundlichkeit zeichnen sich unsere hochmodernen EPOS-Kassensysteme dadurch aus, dass sie mit ihrem speziellen Aufbau präzise auf Ihre individuellen Geschäftsanforderungen abgestimmt sind. Dank ihrer exzellenten Leistung, Haltbarkeit und Konnektivität erfüllen die TOUGHPAD Tablets sämtliche Bedürfnisse Ihres Unternehmens, egal ob sie als mobiles Kundendienst-Tool, zur Vermeidung von Warteschlangen oder zur Bestellannahme eingesetzt werden. Dies ist ein neuartiges Konzept, bei dem Ihre Sicherheitsvideoausrüstung gleichzeitig als Business Intelligence-System dient. Das System bietet nicht nur herausragende Sicherheitsfunktionen, es kann auch die Verwaltung Ihrer Einrichtungen verbessern und die Bewegung von Besuchern überwachen. Das IP-Telefonsortiment von Panasonic bietet die für erfolgreiche Unternehmen in der anspruchsvollen Geschäftswelt von heute so wichtige Flexibilität und Verwaltungsfreundlichkeit. Unsere IP-Telefonsysteme eignen sich für Unternehmen jeder Größe, wo sie dazu beitragen, die Kommunikation zentral zu verwalten. Unsere Videowandtechnik überzeugt durch kristallklare Bilder, hohe Helligkeit und große Betrachtungswinkel. Sie eignet sich damit hervorragend für großformatige Displays in Ihren Steuerzentralen. Unsere Videowandtechnik überzeugt durch kristallklare Bilder, hohe Helligkeit und große Betrachtungswinkel. Sie eignet sich damit hervorragend zur Anzeige von Passagier- und Reiseinformationen an öffentlichen Orten. Dank ihrer exzellenten Leistung, Haltbarkeit und Konnektivität erfüllen die TOUGHPAD Tablets sämtliche Bedürfnisse Ihres Unternehmens, egal ob sie als mobiles Kundendienst-Tool oder zur Steuerung der Technologie am Bahnhof oder Flughafen eingesetzt werden. Dies ist ein neuartiges Konzept, bei dem Ihre Sicherheitsvideoausrüstung gleichzeitig als Business Intelligence-System dient. Das System bietet nicht nur herausragende Sicherheitsfunktionen, es kann auch die Verwaltung Ihrer Einrichtungen verbessern, die Fahrzeugauslastung optimieren und die Bewegung der Passagiere überwachen. Das TOUGHBOOK mit Intel® Core™ i5 vPro™-Prozessortechnologie ist die perfekte Wahl für den Transportsektor, egal ob Sie papierbasierte Verfahren ersetzen, Ihre Wartungsteams unterstützen oder Ihren Kundendienstmitarbeitern den Zugriff auf Anwendungen ermöglichen möchten. Wenn Sie Produkte und Prozesse im Detail besprechen, entwerfen und entwickeln müssen, ob nun im gleichen Raum oder über mehrere Standorte hinweg, bieten Ihnen die industriellen Kameras von Panasonic die nötige Klarheit, Genauigkeit und Zuverlässigkeit. Dank Full Ruggedized-Bauweise, im Freien gut lesbaren Bildschirmen, langen Akkulaufzeiten, Erweiterungsoptionen für den Geschäftseinsatz und speziellen Docking-Lösungen leisten die TOUGHPAD Tablets in Ihrer Werkstatt, Produktionsstätte oder Ausstellung sehr gute Arbeit und setzen neue Qualitätsstandards bei Performance und Kundendienst. Ob F&E, Computersimulation, Messtechnik oder Aufzeichnung und Auswertung von Telematikdaten bei Testfahrten, unser TOUGHBOOK mit Intel® Core™ i5 vPro™-Prozessortechnologie ist der ideale Begleiter in der Automobilbranche. Dank Full Ruggedized-Bauweise, im Freien gut lesbaren Bildschirmen, langen Akkulaufzeiten, Erweiterungsoptionen für den Geschäftseinsatz und speziellen Docking-Lösungen leisten die TOUGHPAD Tablets in allen Bereichen Ihres Fertigungsunternehmens sehr gute Arbeit und setzen neue Performance-Standards. Überwachungskameras sind ein unverzichtbarer Bestandteil der Verlustvermeidungslösung von Panasonic. Sie tragen dazu bei, den Schwund im Einzelhandel zu reduzieren. Unsere Sicherheitslösungen beinhalten neueste Technologie und eine große Zahl innovativer Funktionen für verschiedenste Sicherheitsanwendungen. Ob F&E, Computersimulation, Messtechnik oder Aufzeichnung und Auswertung von Fertigungsprozessen, unser TOUGHBOOK mit Intel® Core™ i5 vPro™-Prozessortechnologie ist der ideale Begleiter im produzierenden Gewerbe. Dank Full Ruggedized-Bauweise, im Freien gut lesbaren Bildschirmen, hoher Leistung und überall verfügbarer WLAN-Konnektivität sind die TOUGHPAD Tablets das ideale Tool, um in mobilen Einzelhandelsumgebungen auf Informationen zuzugreifen und diese auszutauschen. Unser Sortiment an professionellen Displays reicht von HD-LCD-Bildschirmen für drinnen und draußen über Groß- und Standardformate bis hin zu Videowänden und Plasmabildschirmen. Egal für welchen Einsatzzweck, sie liefern stets eine zuverlässige Bildqualität sowie eine unübertroffene Helligkeit und Bildschärfe, womit sie perfekt für die Anzeige von Werbeaktionen und Kundeninformationen geeignet sind. Unsere interaktiven Displays ermöglichen Ihnen, alle Anwesenden einzubeziehen und Ihren Unterricht mit Leben zu füllen. Verwandeln Sie Ihre Schulungen in ein echtes interaktives Miteinander. Unsere Videowandtechnik überzeugt durch kristallklare Bilder, hohe Helligkeit und große Betrachtungswinkel. Sie eignet sich damit hervorragend für Werbeanzeigen und Kundeninformationen an öffentlichen Orten. Mit dem IP Business Communication Server von Panasonic genießen Sie eine bislang unbekannte Flexibilität in der Kommunikation zwischen Ihren Einzelhandelsfilialen. Der IP Communication Server bietet Ihnen eine innovative Unified Collaboration- und Communication-Umgebung. Die Darstellung hochwertiger und gut sichtbarer Bilder im Freien – egal welche Witterungsbedingungen gerade vorherrschen – ist eine permanente Herausforderung im Einzelhandel. Unsere Outdoor-Displays haben sich selbst in schwierigen Situationen bewährt. Sie gewährleisten, dass Ihre Botschaft jederzeit professionell und informativ überbracht wird. Dank ihrer exzellenten Leistung, Haltbarkeit und Konnektivität erfüllen die TOUGHPAD Tablets sämtliche Bedürfnisse Ihres Unternehmens, egal ob sie als mobiles Kundendienst-Tool oder zur Steuerung der Technologie eingesetzt werden. Unsere Sicherheitslösungen beinhalten neueste Technologie und eine große Zahl innovativer Funktionen für verschiedenste Sicherheitsanwendungen. Das Angebot reicht von Netzwerkkameras, die mit neuester Gesichtserkennung und 360-Grad-Radius ausgestattet sind, bis hin zu hochleistungsfähigen Full-HD-Netzwerkvideorekordern sowie Netzwerk-Encodern und -Decodern. Unsere extrem haltbaren EPOS-Kassensysteme zeichnen sich durch ihre lange Lebensdauer mit maximaler Betriebszeit und minimalem Wartungsbedarf aus. Hinzu kommt, dass die EPOS-Workstations von Panasonic mit Digital-Signage- und Verlustvermeidungslösungen zu einem vollständig integrierten Einzelhandelssystem kombiniert werden können. Unsere Sicherheitslösungen statten zahlreiche Einzelhandelsanwendungen mit der neuesten Technologie aus. Das Angebot reicht von Netzwerkkameras mit neuester Gesichtserkennung und 360-Grad-Radius bis hin zu hochleistungsfähigen Full-HD-Netzwerkvideorekordern sowie Netzwerk-Encodern und -Decodern. Alle professionellen Kameras in unserem Sortiment sind mit einer Technologie ausgestattet, die völlig neue Möglichkeiten im Broadcast- und professionellen AV-Sektor eröffnet. Sie versetzen kreative Köpfe in die Lage, ihre Visionen in HD-Qualität wahr werden zu lassen und Ergebnisse in der gewünschten hohen Qualität zu liefern. Unsere breite Auswahl an Computerprodukten und -lösungen leistet in jeder Umgebung hervorragende Arbeit. Durch ihre erstklassige Konnektivität, ihre Full Ruggedized-Bauweise und ihre auch im Freien gut lesbaren Bildschirme bieten sie Ihren mobilen Mitarbeitern das perfekte Tool, um außergewöhnliche Veranstaltungen und Übertragungen zu verwalten und umzusetzen. Zu den zahlreichen Mischer- und Controller-Lösungen von Panasonic zählen kompakte, aber dennoch leistungsstarke HD/SD-Live-Bildmischer ebenso wie unser neuester High-End-Live-Bildmischer. Durch die Erweiterbarkeit der Systeme eignen diese sich hervorragend für Veranstaltungen und Übertragungen. Die Videowandlösungen von Panasonic kombinieren ein robustes Design mit einem extrem schmalem Rahmen und erzeugen damit Bilder, die alle Blicke auf sich ziehen. Kurzdistanzprojektoren wurden entwickelt, um den Projektor näher an die Projektionsfläche heranzubringen. Dies ermöglicht es dem Vortragenden, direkt vor der Projektionsfläche zu stehen, ohne einen Schatten auf den Präsentationsinhalt zu werfen. Mit ihrer ausgezeichneten Sichtbarkeit und Farbwiedergabe erwecken unsere interaktiven Displays Informationen zum Leben. Sie verschaffen Ihren Kunden ein einmaliges Erlebnis, das ihnen den Besuch in Ihrem Geschäft unvergesslich macht und sie sich mit Ihren Produkten identifizieren lässt. Dank ihrer exzellenten Leistung, Haltbarkeit und Konnektivität erfüllen die TOUGHPAD Tablets sämtliche Bedürfnisse. Dank Full Ruggedized-Bauweise, im Freien gut lesbaren Bildschirmen, langen Akkulaufzeiten, Erweiterungsoptionen für den Geschäftseinsatz und speziellen Docking-Lösungen leisten die TOUGHPAD Tablets in allen Bereichen Ihres Unternehmens sehr gute Arbeit und ermöglichen eine neues Maß an Performance. Unsere breite Auswahl an Laptops leistet in jeder Umgebung hervorragende Arbeit. Durch ihre erstklassige Konnektivität, ihre Full Ruggedized-Bauweise und ihre auch im Freien gut lesbaren Bildschirme sind sie an jedem Ort einsetzbar, an dem Ihr Unternehmen sie braucht, und begleiten Ihre Mitarbeitern überall hin. Unsere Unified Communications-Lösungen umfassen fortschrittliche IP-basierte Netzwerkkommunikation, Tischtelefone und bis ins Detail konfigurierbare Voicemail-Systeme zur Unterstützung administrativer Tätigkeiten. Sie alle sind darauf ausgelegt, die Funktionalität zu verbessern, die Kosten zu senken und die Verwaltung zu vereinfachen. Unsere umfangreiche Palette an SIP-Lösungen, darunter Standard-SIP-Endgeräte und SIP-Konferenzlösungen, erfüllt unterschiedlichste Anforderungen und ist auf eine effektive, konsequente Kommunikation ausgelegt. Dies ist ein neuartiges Überwachungskonzept, bei dem Ihre Sicherheitsvideoausrüstung gleichzeitig als Business Intelligence-System in Echtzeit eingesetzt wird. Das System bietet nicht nur bestmögliche Sicherheitsfunktionen, es kann auch die Verwaltung Ihrer Einrichtungen verbessern. Die Arbeitswelt von heute verlangt Effektivität und Effizienz. Mit unserem Sortiment an Desktopscannern, Hochgeschwindigkeitsscannern mit automatischer Zuführung, Flachbettscannern sowie Scannern für unterschiedliche Formate und Farbdokumente erreichen Sie beides und finden die perfekte Scannerlösung für jeden Anspruch. Dank ihrer exzellenten Leistung, Haltbarkeit und Konnektivität erfüllen die TOUGHPAD Tablets sämtliche Bedürfnisse im Gesundheitswesen, egal ob sie von Mitarbeitern oder Patienten genutzt werden. Unsere breite Auswahl an Computerprodukten und -lösungen leistet im Gesundheitswesen überall hervorragende Arbeit. Durch ihre erstklassige Konnektivität, ihre Full Ruggedized-Bauweise und ihre auch in hellem Tageslicht gut lesbaren Bildschirme bieten sie Mitarbeitern und Patienten ein hochmodernes Toolkit. Das Gesundheitswesen von heute verlangt Effektivität und Effizienz. Mit unserem Sortiment an Desktopscannern, Hochgeschwindigkeitsscannern mit automatischer Zuführung, Flachbettscannern sowie Scannern für unterschiedliche Formate und Farbdokumente erreichen Sie beides und finden die perfekte Scannerlösung für jeden Anspruch. Unsere Sicherheitslösungen, darunter analoge und hochmoderne IP-Technologie sowie Kamerasysteme für den Innen- und Außenbereich, lassen sich mühelos in bestehende Systeme integrieren, um Ihre Gesundheitseinrichtungen optimal zu schützen. Das OP-Kamera- und Aufzeichnungssystem von Panasonic liefert Full-HD-Bilder in hoher Qualität für die Videodokumentation, Fernunterricht, Ausbildung und medizinische Schulungen. Die Industrial and Medical Vision (IMV)-Mikrokameras von Panasonic sind leichte, flexible und hochleistungsfähige Geräte. Trotz der sehr kleinen und lichtempfindlichen Kameraköpfe liefern sie Full-HD-Videos in hoher Qualität. Dank Full Ruggedized-Bauweise, im Freien gut lesbaren Bildschirmen, langen Akkulaufzeiten, Erweiterungsoptionen für den Geschäftseinsatz und speziellen Docking-Lösungen leisten die TOUGHPAD Tablets in allen Bereichen Ihres Unternehmens sehr gute Arbeit und setzen neue Performance-Standards. Unsere umfangreiche Palette an Telefonsystemen erfüllt unterschiedlichste Anforderungen und ist auf eine effektive, konsequente Kommunikation in den unterschiedlichsten Einrichtungen ausgelegt. Die innovative Heiz- und Kühltechnologie von Panasonic blickt auf mehr als 30 Jahre Erfahrung zurück und setzt neue Standards in der Branche. Unsere Lösungen reichen von Einzelsystemen bis hin zu Installationen mit mehreren Geräten. Unsere Broadcast- und Remote Kameras zeichnen Bewegungen mit ausgezeichneter Klarheit auf. Produktdetails ebenso wie Gesichtsausdrücke sind von überall aus klar erkennbar. Die Stärken von Bravida (Integrated by Panasonic) zeigen sich in Situationen, in denen der Kunde eine komplexe Sicherheitslösung mit einem enormen Informationsfluss verwendet. Auch wenn eine benutzerfreundliche Sicherheitsadministration gefordert ist, zeigt die Plattform, was sie kann. Follow-up your call to action on customer devices, provide buying incentives that convert to sales, enable online ordering, and expand customer relationship management and insight. Space Player provides a hybrid illumination and image-projection solution to enhance displayed objects or create vivid signage in variety of locations and applications. The ability to combine customized spotlighting and ambient illumination, still images, and moving pictures grabs attention in retail environments, while harnessing brightness and resolution to deliver text-and-image information clearly in exhibition spaces. 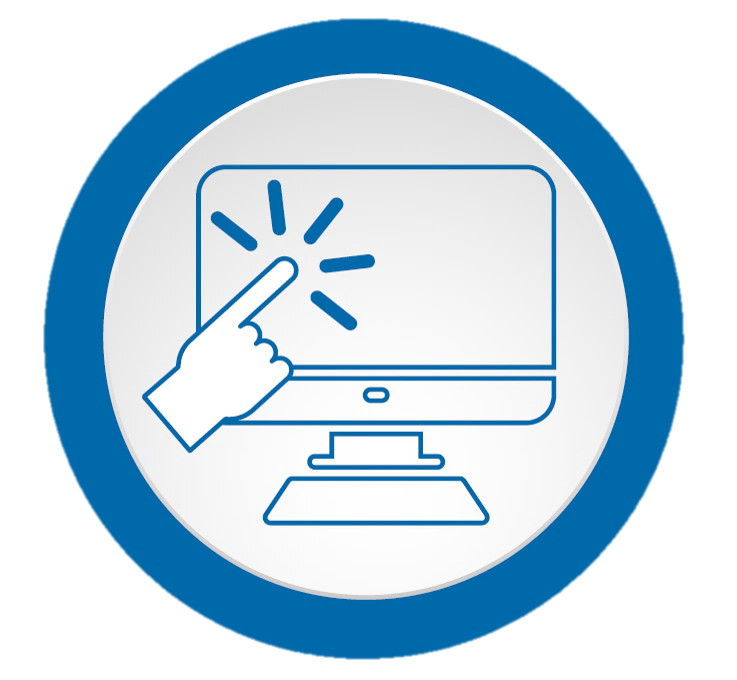 With freedom to project a variety of media, and in-browser control for networked units, it’s never been easier to transform your display. Der Space Player ist eine Hybrid-Lösung, die Beleuchtung und Videoprojektion vereint, um die gezeigten Objekte und Informationen zu verbessern und lebendige Präsentationen an unterschiedlichsten Orten und in einer Vielzahl von Anwendungen zu zeigen. Durch die individuelle Kombination von Spotlight und Umgebungslicht ziehen Bilder und Filme im Einzelhandel gleichermaßen die Blicke auf sich, während Ausstellungen dank der hohen Helligkeit und Auflösung von einer klaren Text- und Bilddarstellung profitieren. Nutzen Sie Call-to-Action auf Kundengeräten und bieten Sie Kaufanreize, die zu Verkäufen werden. Ermöglichen Sie Online-Bestellungen und erweitern Sie Ihr Customer Relationship Management, sowie Ihre Kundeneinblicke. This coating can prevent water droplets from covering the dome to ensure that the camera view remains unobstructed. In addition to this, the self-purification effect of hydrophilic materials can eliminate dirt and dust collected on the dome cover.